The arch is attached to the vertical sides (stiles) using a tongue and grove joint. The tongue is the inner ply of the arch, and mating grooves are cut in the stiles using the sliding table saw. 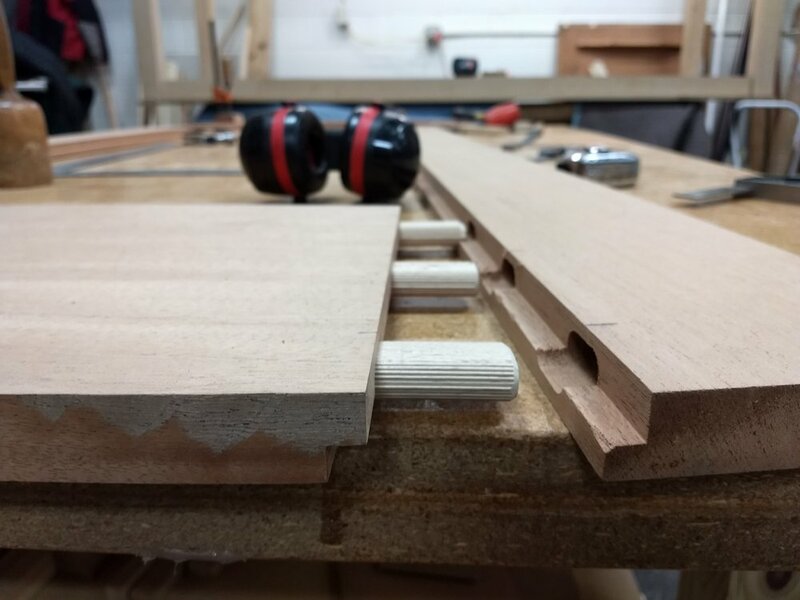 The bottom horizontal panel (rail) is attached using dominos, which are rectangular pieces of wood. The slots for the dominos are cut using the domino cutter. 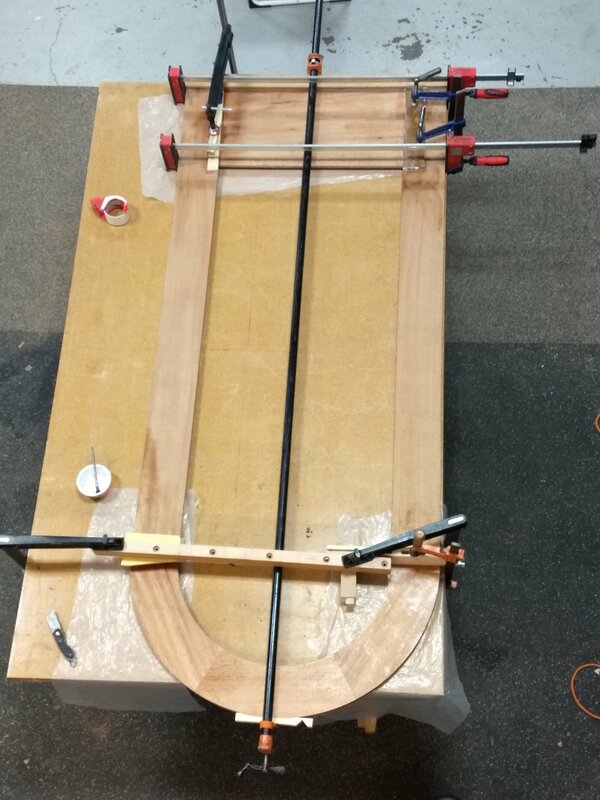 Once all the joints are fitted, everything is glued together with epoxy and clamped until it dries.